SAT NAV! 4 WHEEL DRIVE! 1 OWNER! 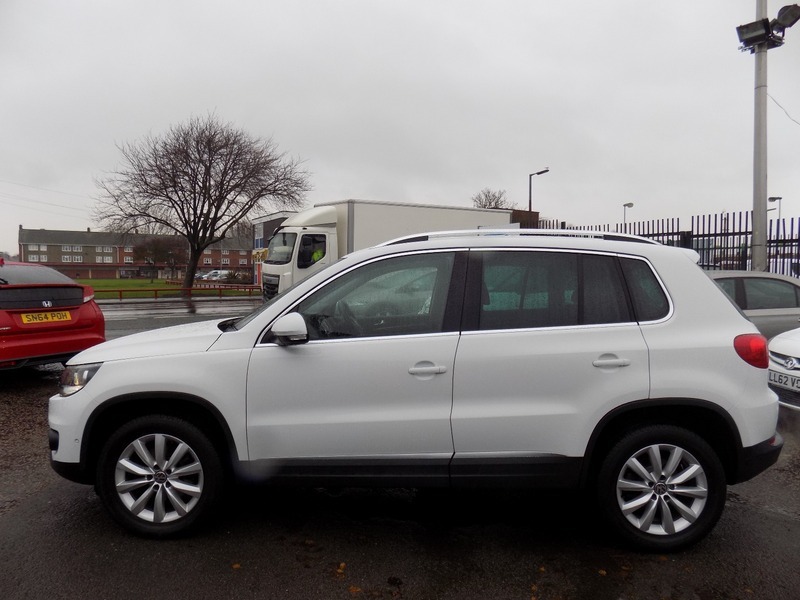 *** REDUCED TO JUST £11250 FOR DECEMBER *** FANTASTIC VALUE TIGUAN IN STUNNING CONDITION *** Stunning 1 owner vehicle! Great spec, including 4 Wheel Drive, Colour Sat Nav, Front and Rear Park Sensors, Self Park System, Climate Control, Bluetooth, Electric Windows, Cruise Control, Remote Central Locking, Alloys. The car will be serviced before sale and wiil be given a new full 12 months MOT. It also comes with a comprehensive mechanical warranty and 12 months AA Roadside Assistance. Please call for any further information about this car.